Every gym rat or MMORPG player needs some liquids handy so why not drink in espionage style with the Archer Metal Water Bottle? 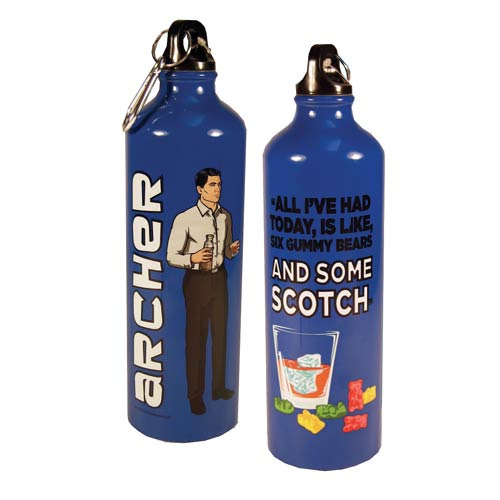 Each bottle measures 9-inches tall with a carabinier clip and holds 20 ounces of liquid. The bottle has an additional swing Description, too. Ages 14 and up!